Somehow, between teaching for and directing Middle Georgia State College’s health services degree program and rearing a family, Tsavatewa manages to play a significant role in a multitude of activities aimed at the betterment of Macon and surrounding communities. Among many other things, he is a leader and organizer involved in palliative care, health fairs, Central Georgia Red Cross, Macon Beer Festival-Pints for Prostates, Magnolia Street Soap Box Derby, environmental initiatives related to the Ocmulgee National Monument, College Hill Corridor activities and Macon Roots. This summer, Macon-Bibb Mayor Robert Reichert appointed him to the Board of Health. Only 34, Tsavatewa is firmly established as one of Middle Georgia’s young, up-and-coming leaders, a position solidified by his inclusion in “Five Under 40,” Macon Magazine’s annual spotlight on some of the city’s youthful movers and shakers. Tsavatewa and four other young leaders are featured in the publication’s August/September issue. Originally from Florida, Tsavatewa (sounds like sah-vah-tah-wah) grew up in North Carolina. He moved to Macon in 1998 to attend Mercer University but transferred to what is now Middle Georgia State when he learned the institution was launching a bachelor’s degree in public service. 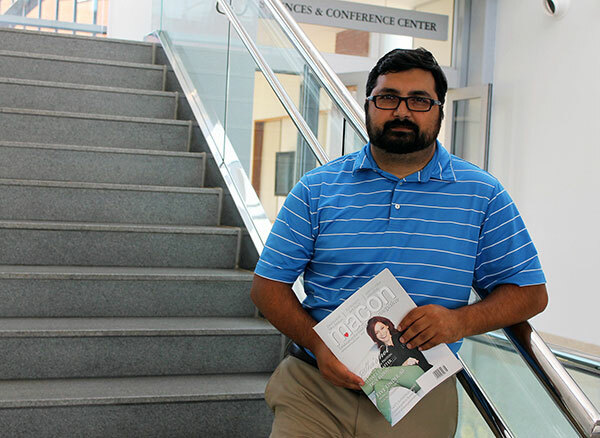 He returned to Mercer after graduation to earn a master’s in public health. Now he’s working on a Ph.D in health administration from the University of Alabama at Birmingham. Tsavatewa, a 2012 graduate of Leadership Macon, is looking forward to the work he’ll do with the Board of Health, which oversees issues related to public health in terms of promotion, prevention and protection. He credits Middle Georgia State colleagues and administrators with giving him the flexibility to pursue his charitable and civic interests.